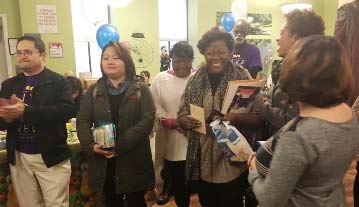 The 2016 Staff Health and Wellness Fair was held on October 27th at Su Casa, and it was a great energizing success! 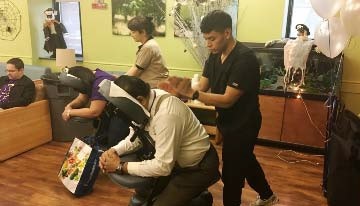 Staff were able to get cholesterol/glucose testing, free rejuvenating massages, flu vaccinations, win great raffle prizes and enjoy healthy refreshments. We give a special thank you to Steven Everett and Lucy Torres of Pencer House. They kept the delicious fruit and vegetable smoothies coming for staff to enjoy. The Staff Health and Wellness Fair is sponsored each year by LESC and organized by the LESC Personnel Practices and Health & Safety Committees and the Human Resources Department.